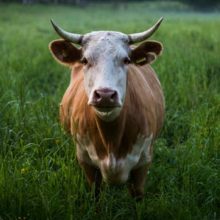 Lorentz Take: We have said what Dave says in the final paragraph: “Eat less–but eat better.” A pasture-fed beef farmer, Dave presents factors to include when considering discussions on methane emissions that could provide a more accurate and holistic approach to your purchasing decisions. His conclusions may not be yours, but the considerations are meaningful. Check out his article on page 18 of the Spring 2017 magazine.